This internship is designed to prepare those called to serve in a local church context. The learning style of watching first, then practicing ministry under the supervision of seasoned pastors enable interns to discover much about themselves and about the terrain of local church ministry. When asked, many cross-cultural workers point to emotional and relational reasons for leaving the field (conflict on the team, betrayal, loneliness, discouragement, etc.). 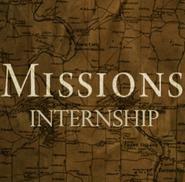 This internship is structured in a cohort-style and emphasizes the dynamics of team ministry. Training by veteran cross-cultural workers and connections with international missions agencies are also part of this internship. This internship is for those who are especially called to do works of compassion, transformational development and advocacy in the name of Christ. Interns will develop their practice by working in the non-profit organization JusticeRain, INC. This internship is for those called to minister in areas of addiction recovery. Working with an expert who has been in the field of recovery for 10 years, interns will gain experience and training as they participate in ministry with mentoring from seasoned ministers in this field.